Let's suppose that a customer comes in with a cell phone and the required part for it is not available, then what would you do? This is a question that often arises in the minds of repair shop owners. If a part is unavailable it hampers the repair operations. 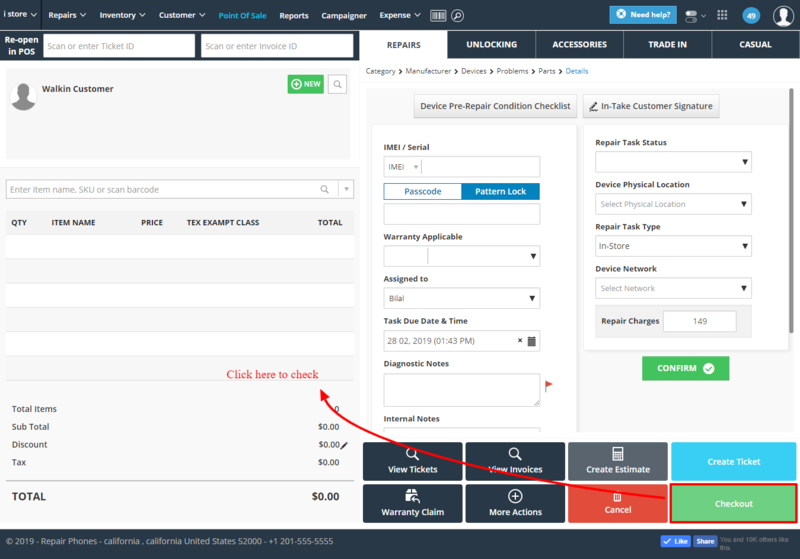 With RepairDesk, you can order a part that is out of stock from the ticket section with ease. It allows admin or user to add out of stock or new parts, notifies the customer via text message or email once the relevant part arrives, automatically updates the inventory. You can take a deposit from customers, and order a special part. 1. While creating a ticket, you see a part that is out of stock. Proceed to create a ticket. 3. Here you can take a deposit from the customer for ordering the special part in advance. 4. Once the ticket open, under the Ticket Items, you can see the out of stock parts. 5. Click on the Part Order just under the out-of- stock quantity of the item. It will open a message box asking your confirmation to create a purchase order. Click on Click Here To Proceed. 6. You'll be taken to the Purchase Order screen. The specific ticket during which the order was generated is also mentioned here. You can update the quantity to order. Once the Purchase Order is sent, and the part arrives, the customer is automatically notified that the relevant part for their repair has arrived. You can charge a deposit before-hand from the customer so that you can order the special part.